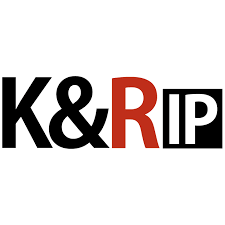 Patent Agent – Large Law Firm – Charlotte, N.C.
Katten Muchin Rosenman LLP is seeking an experienced life science focused Patent Agent to join its North Carolina IP practice office. The position can be based out of Katten’s Charlotte office or working remotely near North Carolina’s technology-rich Research Triangle Park in Raleigh/Durham/Chapel Hill or surrounding areas. Katten has a very active IP practice that deals with some of the most complex and interesting life science technologies which include pharmaceuticals, biologics, chemistry, biotechnology, AgBio and material science. This position requires sensitivity to client needs and the ability to support lasting client relationships. Successful candidates must be admitted to practice before the USPTO, capable of working independently, be proactive, enjoy learning about new technologies and must be capable of working both on her/his own as well as a part of a team. An advanced degree in the chemical or biological arts is required. Katten provides a dynamic, team-oriented, solution-focused environment of dedicated professionals; and this is an opportunity to be a part of one of the fastest growing IP practices in North Carolina. Client billable hour requirement: 1,700 hours annually (142 client billable hours average per month). Draft applications and responses to office actions for US and foreign applications. Support the Firm’s attorneys in the technical aspects of post-grant proceedings (PGRs, IPRs, reissues and reexamination, appeals), invalidity and non-infringement opinions, due diligence (including freedom to operate studies), and ANDA and life sciences litigation. Masters or Ph.D. degree in chemistry, biology or related field with 2-3 years of experience as a registered patent agent prosecuting patent applications in the life sciences space. Applicable knowledge and understanding of all components of U.S. and foreign patent principles, rules and regulations and experience working with the United States Patent and Trademark Office. Computer proficient with experience and working knowledge of Westlaw and other patent-related databases, Internet research, due diligence, Excel, Outlook and MS Word preferred. Excellent analytical, technical, and critical-thinking skills requiring an aptitude for detail, precision, and logic with comprehensive knowledge of patent requirements and regulations in order to analyze and research patent-related data, process information, conduct legal research and perform essential duties. Exhibit high degree of initiative in exercising independent judgment in order to organize and manage multiple priorities simultaneously in a fast-paced, deadline-driven, detail-oriented work environment, ensure work is completed within strict deadlines and make decisions based upon results of research. Excellent organizational skills including record keeping, data collection, and system information. Ability to compile and analyze data and furnish concise, detailed information in report format, written correspondence, e‑mail or verbally. Ability to occasionally retrieve and distribute files, written documentation and copies, or office supplies weighing up to 20 pounds. Ability and availability to travel to other Firm locations when required. To apply, please visit this website: https://chp.tbe.taleo.net/chp04/ats/careers/requisition.jsp?org=KATTMUCH2&cws=1&rid=5936. Associate (Pharmaceutical Patent Litigation) – Small Law Firm – Morristown, N.J.
Pergament & Cepeda LLP, a Morristown, NJ law firm, seeks attorney with 2-4 years of experience in ANDA litigation. Advanced degree in chemistry (or other technology field relevant to pharmaceutical patent work) preferred but not required. The candidate should have experience in U.S. District Court patent litigation. To apply, please email LMACQUEEN@PERGAMENTCEPEDA.COM. Patent Strategist – Small Law Firm – Morristown, N.J.
Pergament & Cepeda LLP is seeking a partner-level patent strategist with pharma experience for a 5-attorney patent boutique. Fast growing firm. 7-15 years in patent strategy for pharmaceuticals, experience with ANDA opinion matters, experience with pharmaceutical patent prosecution. Equity-partner track position for the right attorney. 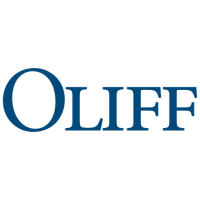 Patent Attorney – Large Law Firm – Alexandria, Va.
Oliff PLC, a full service IP Law firm with offices in Alexandria, Virginia, is seeking Patent Attorneys and Patent Agents with a background in Mechanical Engineering, Computer Science or closely related fields. Patent Counsel – Other – Bothell, Wash.
To apply, please visit this website: http://www.Click2Apply.net/n5gbmv293yrd9txq. 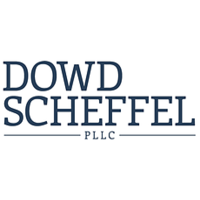 Senior Contract Patent Attorney – Small Law Firm – Washington, D.C.
Levy & Grandinetti is seeking a Senior Contract Patent Attorney. Candidates must be able to submit a complete work product, in native English grammar and spelling, fully proofread, at least two weeks before the PTO deadline. To apply, call Marc Cohen after 6:30 pm Washington time at (202) 429-1609 and do not e-mail. Associate Director, I.P. (Trademarks, Copyright, and Trade Secrets) – Large Corporation – Tarrytown, N.Y.
Regeneron Pharmaceuticals Inc. is seeking an intellectual property attorney at the Associate Director level to help in the development, protection, and management of Regeneron’s valuable intellectual property pertaining to trademarks, copyrights and trade secrets. Working directly and through supervision of outside counsel, the attorney will be responsible for overseeing Regeneron trademark and copyright portfolios, coordinating worldwide enforcement of Regeneron’s trademarks and copyrights, and be part of a coordinated team that to identifies and protects Regeneron trade secrets. The attorney will be required to develop close client relationships with Regeneron research, manufacturing, regulatory, and commercial groups. The attorney will also advise on emerging legal issues, including monitoring and reviewing case law and legislative developments, and is expected to contribute to administrative and legal projects intended to develop an IP Department displaying the highest legal and ethical standards. Known for its scientific and operational excellence, Regeneron is a leading science-based biopharmaceutical company that discovers, invents, develops, manufactures, and commercializes medicines for the treatment of serious medical conditions. Regeneron markets medicines for eye diseases, hypercholesterolemia, rheumatoid arthritis, atopic dermatitis and asthma, head and neck cancer, and a rare inflammatory condition and has product candidates in development in other areas of high unmet medical need. Participate in team responsible for identifying and protecting company trade secrets. Exceptional communication skills, including presentation, interpersonal, writing and conflict resolution. To apply, please visit this website: https://careers.regeneron.com/job/REGEA0026307685/Associate-Director-IP-Trademarks-Copyright-and-Trade-Secrets.